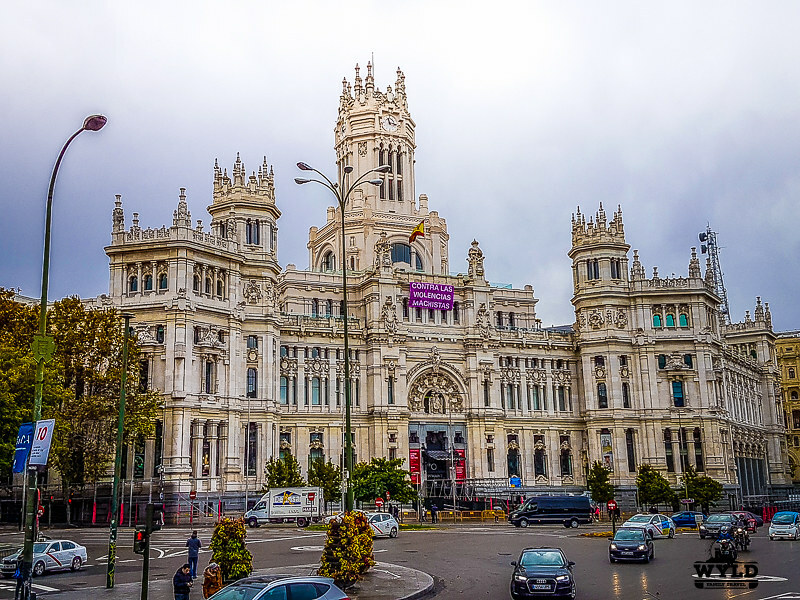 With the weather in Madrid sitting around the 10-degree mark with constant showers we thought this would be the perfect day to do the Madrid hop on hop off bus tour by city tours. Tours like this are excellent things to do in Madrid with kids. There is a lot of sitting and looking and not so much walking and complaining! Our 11-year-old Willow loves these tours, she loves the learning about the places we visit their history and sights especially with the audio guide that they all have available. We made our way across town to the information box outside the Prado Museum to pick up our tickets. 10 am came and went and still the box was not open for the Madrid Bus tour. We had 2 inpatient kids in Madrid wondering what was going on. Where do we stay in Madrid – Where is the best area to stay in Madrid. Apartment GoodStay was located just off Gran Via in downtown Madrid. Located close to the Royal Palace and the main shopping area this was the best area to stay in Madrid. The famous Mercado de San Miguel is a few hundred meters away. GoodStay was fully self-contained with cooking facilities. Gran Via is a pickup spot for the Madrid hop on hop off bus tour. Maybe Manyana, as the Spanish say, which means tomorrow! We have found things in Spain run on their own time and the information booth opened 15 minutes late. Once we showed the tickets to the gentleman in the booth things moved very quickly and we eagerly boarded the bus to get out of the cold winds! Then we set off on the Madrid bus tour on the Historical route around the city. The loop of the city took us around 90 minutes to complete. Free headphones were given out so we could listen to the onboard audio guide that explained the history of the Spanish capital as we took in the Madrid landmarks. 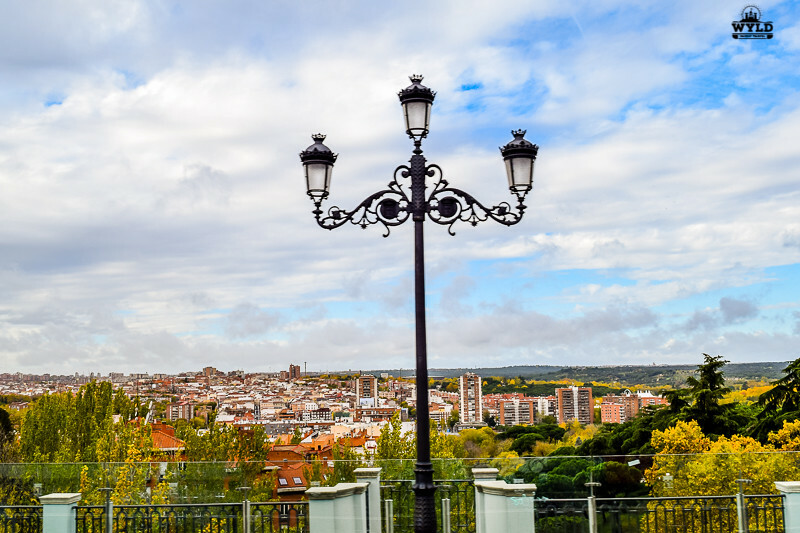 This is a great one day in Madrid itinerary. Madrid Hop On Hop Off Bus showcases the many faces of Madrid! Along the way, we choose to get off the Madrid hop on hop off bus at a few different sites. We visited the Real Jardin Botanico. Jardin Botanico is an 8 hectares botanical garden located just behind the Prado Museum. The Park contains statues, fountains, monuments, playgrounds and of course a wide range of plants. There were so many people out enjoying the park and the sun that had briefly made an appearance. This is a great attraction in Madrid with kids. Our children enjoyed the playgrounds and the wide open spaces to burn off some energy. This would be one of the top things to do in Madrid with kids. The Temple of De Debod always interested me. 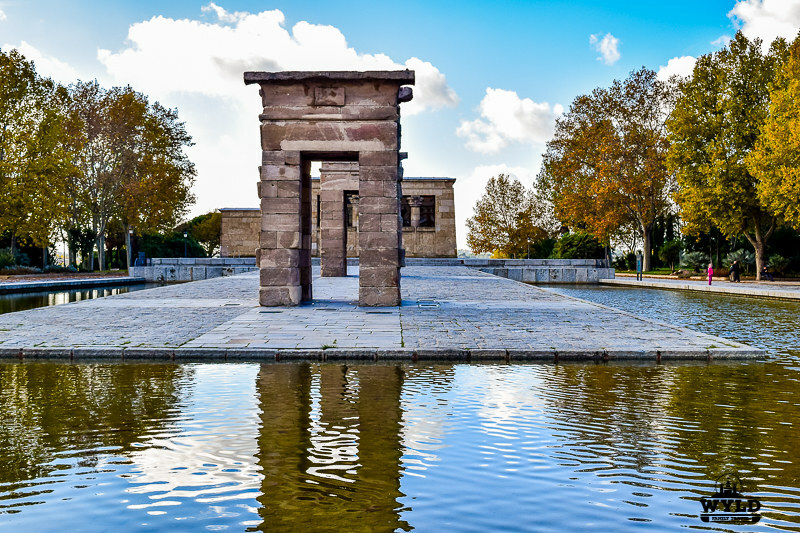 An Egyptian temple in Madrid. Originally built in Aswan in the 2nd century BC. The temple was dedicated to Amun. It had a remarkable life as many Pharaohs added to the design of the temple before The Roman emperors Augustus and Tiberius completed its decorations. Anyway fast forward, the temple was going to be flooded when a dam was built. The Egyptian Government allowed the Spanish Government to move the temple block by block to Madrid and reconstruct it. There is is a lot of green spaces in the city. 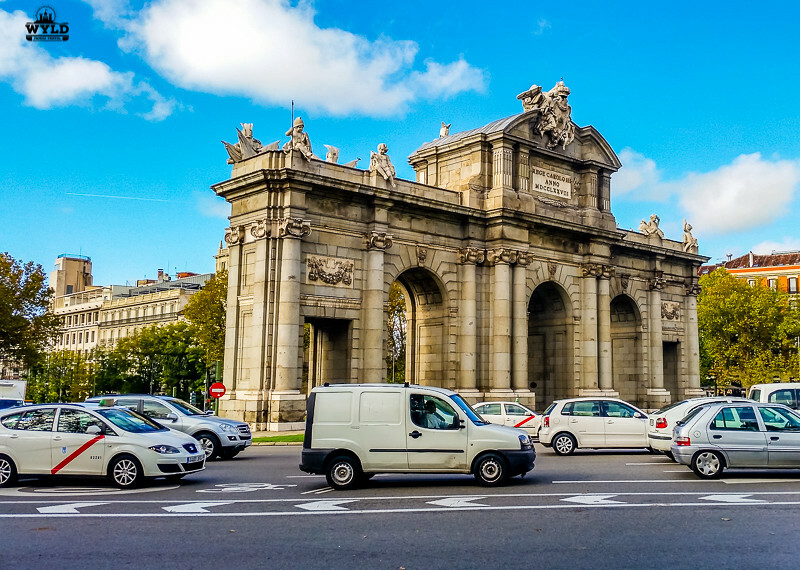 This makes visiting Madrid with kids a great option. It seems everywhere you look Madrid kids are playing in parks and having fun. Madrid Hop On Hop Off Bus. 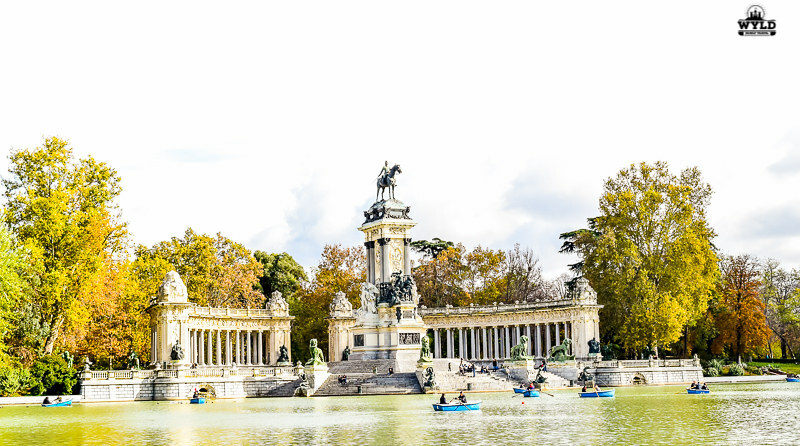 Hop on aboard this open-top double-decker bus for a comprehensive sightseeing tour of Madrid. 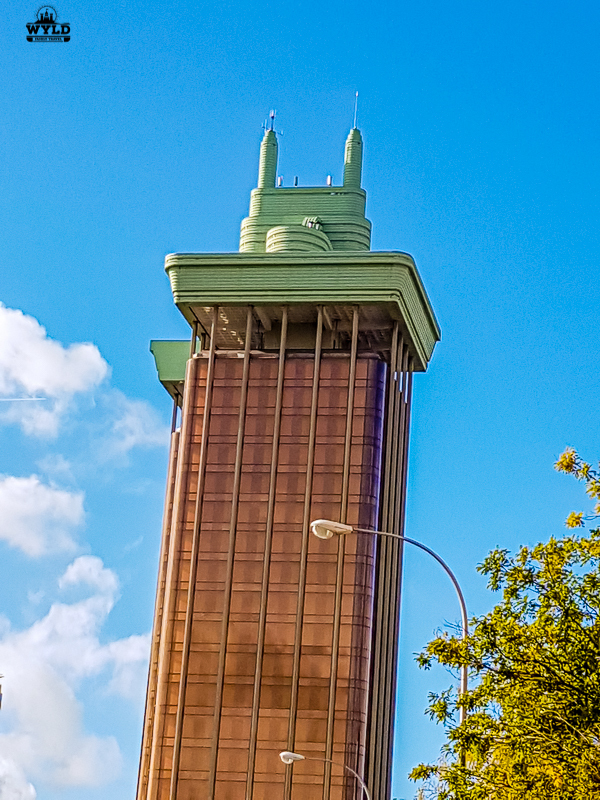 On these 2 comprehensive routes, you will see everything from historical sites like the Royal Palace to modern skyscrapers. This Madrid bus tou has the option of a 1 or 2-day pass. The ease of the bus makes it one of the easiest things to do in Madrid for kids. Book your Hop on hop off Madrid bus tour here today! 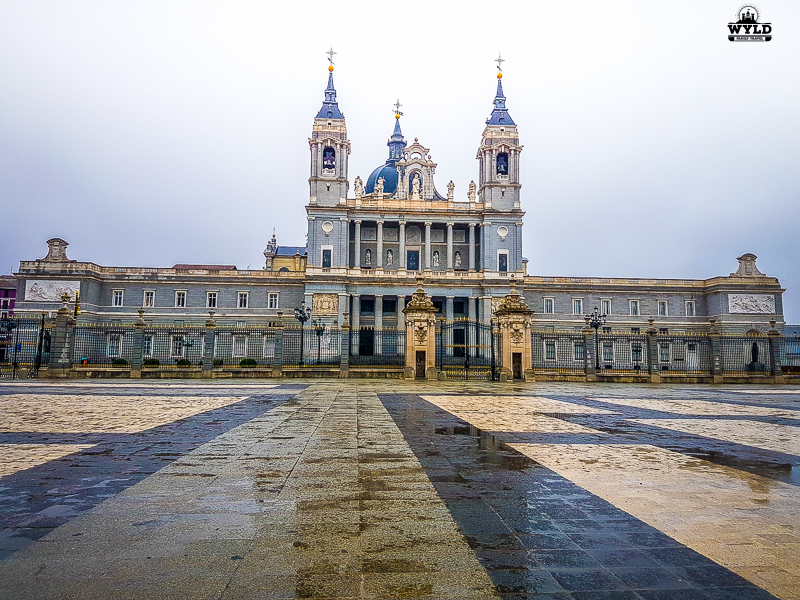 Santa María la Real de La Almudena is the Catholic cathedral in Madrid, the seat of the Roman Catholic Archdiocese of Madrid. It is also the newest cathedral in Europe with construction starting in the very late 18th Century and taking a little over 100 years to build. It was consecrated by Pope John Paul II in 1993. Overall we like the Hop on Hop off Madrid bus and have used these tours in different cities across Europe. Considering Madrid is the 3rd largest capital city in Europe with 3.2 million people in the city centre area, navigating Madrid with kids could be an issue. They Madrid Hop on Hop off Bus is a great way to get an idea of the sights that you would like to visit in the city you are visiting without having to navigate public transport. Whether it be 24 hours in Madrid or 3 days the city tour Madrid bus is a great idea. Nadine, I also thought this but I was definitely surprised and would certainly go back. I’ve always wondered about these hop on/hop off buses, but with these views, I guess you really can’t go wrong. My parents also just went on a hop on/hop off tour in Berlin and loved it, so I guess I will have to check it out sometime! I have lived in Madrid for 6 years, so these photos took me back to my time there. Madrid is a pretty big city and a lot of walking around with kids. So the hop on hop off bus is a really great option, especially if you are planning to see the further away places. I went to Madrid years ago and it was only for an overnight. I’d like to go back and explore more. Bus tours can be a great way to get the lay of the land and learn some history. I like the hop on, hop off option. I had never experienced this kind of a tour but now i think so i should try someday. Hop on Hop off bus tours are also a great way to explore some place. Totally agree, hop on and off tours are a great way of seeing a city with kids. I haven’t been to Madrid but would love to go it looks very family friendly. Enjoyed reading this via BritMums Spain travel round up.